Logitech Spotlight posts are created in partnership with Logitech. If you’re still gaming with your PC’s standard mouse, be prepared to develop an unhealthy obsession with something like Logitech’s G403 Prodigy Gaming Mouse. Why? Because plugging one in will make you better, faster, more successful and, by extension, wildly and superbly attractive. If you don’t fall in love with the mouse, you’ll probably end up fixated with yourself. OK, there may be some hyperbole there, but it’s based on facts. And it’s another well known fact (if not often acknowledged) that the more successful something is, the more attractive it gets. So when a beautifully shaped and illuminated device is also incredibly successful, you know you’re in for fireworks. 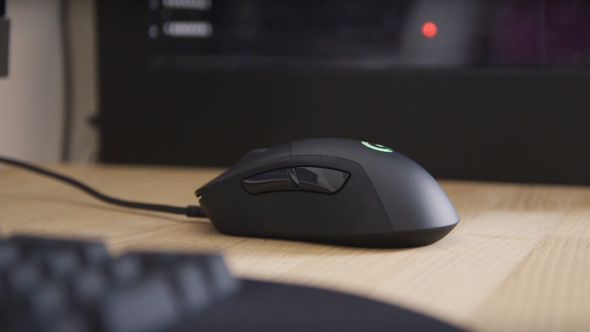 The G403 Prodigy mouse is up to eight times faster than regular mice, and its one millisecond response time is effectively instantaneous for lag-free performance. Its sensor is so sensitive it’s used by global eSports pros, and its performance adjusts to all needs, from pixel-precise aiming to mega-fast spins and movement. The adjustment covers a truly wide range: the highest of the five settings is actually 60 times more sensitive than the lowest. Power is nothing without control, of course, so it has that too. It’s shaped specifically for intense and potentially lengthy gaming sessions, and has rubber panels for easy security without death-gripping. It’s also very light – so light, at 107g, that it includes an extra 10g of metal ballast should you want slightly slower, chunkier movement. The right and left buttons deliver proper clicks. Metal springs ensure positive, tactile engagement, and they’re set light for rapid responses. The six buttons can be customized, too, and even set to trigger bursts of inputs at a single click. The onboard memory stores preferences, including your lighting choices, so nothing is lost when you plug it into something else. Which you’ll want to do, because you’ve fallen in love with it. Oh yes – the lighting. Fully programmable for brightness, color, duration, pulse, flash and of course tone (16.8 million colors! 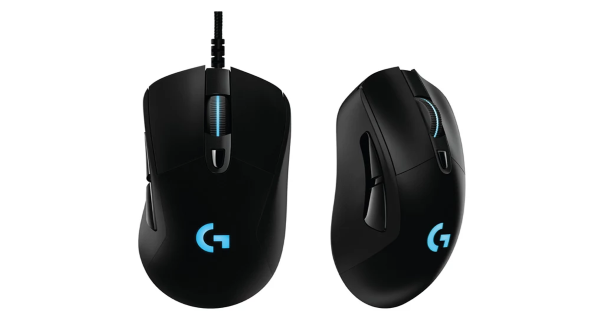 ), it can easily be synced to other Logitech devices that comprise the full Logitech G Prodigy family of peripherals—such as the G213 Prodigy keyboard and G231 Prodigy headset—because they all use the same simple setup software. The benefits are clear, because illuminated Prodigy devices can respond to in-game events. That means visual feedback from your own controls, which in turn means extra advantage, boosted pleasure, and the delicious envy of everyone from your best friend to the the zombie who keeled over in grudging admiration as you shot him repeatedly in the knees. Be honest – what more could an enthusiastic gamer want?